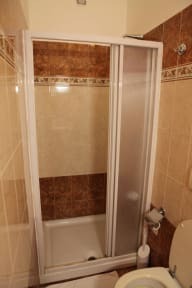 B&B Elegance v Řím, Itálie: Zarezervujte nyní! B&B Elegance is a brand new place offering great quality accommodation in the very heart of Rome! It is situated in Rome's centre and guarantees a unique relaxation. 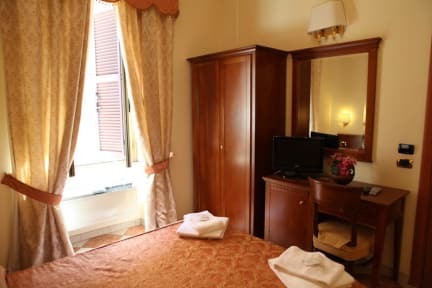 We are easily situated for all parts of the capital and within easy reach of most of Rome's attractions with numerous connections from the Termini Station. B&B Elegance is located few steps from the church Santa Maria Maggiore, Piazza della Repubblica and within walking distance (20 minutes) are the Colosseum, Roman Forum and all major monuments of the centre. All rooms are brand new, well-appointed with sophisticated comforts and facilities you would expect from a modern hotel. There is a TV, hair dryer, air conditioner and heating in every room. Rooms without bathroom are available upon request.